Vitamin A or Poison A? Vitamin A or Killer A? A rose by some other name -- "onion," for example -- would not necessarily smell as sweet to those who confuse the orders of abstraction. Likewise, a substance with "vitamin" in its name is not necessarily beneficial, but each year many people find out through the School of Hard Knocks that "vitamins" can make you ill or even kill you. If you are pregnant a substance like Vitamin A can cause irreversible damage to your fetus. Many people evaluate the world with too few values ... too few compartments to place the data of their experience. And once an item is placed in a compartment, many people tend to leave it there and only there despite new data to the contrary. This is certainly the case with vitamin A. After all, we do call it "vitamin" A. Vitamin as a term was first used by Casimir Funk around 1911 and meant "a nitrogen substance vital for life." So for many people a vitamin is identified as a good thing ... and you can't get too much of a good thing. If a little will keep you alive, more will give you super powers! This notion contradicts what we know from the sciences of toxicology and nutrition. The reality of vitamin A as well as other essential nutrients is that a little may be necessary for survival, more may be a waste of money, and more may harm you. One of the pillars of modern toxicology is the notion that what makes a poison is the dose. 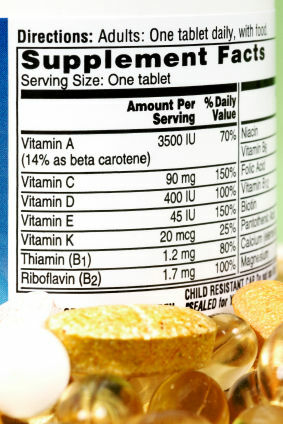 A substance like vitamin A may be useful at one dose, harmful at another. Every year many Americans are harmed by excessive consumption of vitamins and minerals, and often these people are consuming these supplements voluntarily and evaluating that they are doing themselves good. One reason you don't find polar bear liver in your local grocery store, even in Reykjavík or Anchorage, is that one 8-ounce serving, with or without onions, contains enough "Vitamin" A to kill a human. The early arctic explorers discovered this the hard way. "What makes a poison is the dose" is just a particular case of a more general formulation that Korzybski called the principle of non-identity ... no two situations, parts of situations, individuals, stages of processes, orders of abstractions are the same in all details. If we incorporate this principle into our evaluation habits, we will be more alert to differences, including the potential harmful effects of large doses of nutrients.